Laptops had a banner year in 2015, and all signs point to an even better selection in 2016. It’s also potentially a more confusing one, too: There’s an ever-growing number of choices to navigate. Picking your form factor (traditional, 2-in-1, or convertible) only begins your run through a gauntlet of decisions. But whether you’re trying to choose between old stock featuring Intel’s 5th-gen Broadwell processors and new models sporting 6th-gen Skylake hardware, or hunting for a worthwhile luxury laptop, it promises to be a great year for anyone buying a new system. To help you with your decision, we’ve rounded up our top picks from all the current laptops out right now, with newly crowned winners for Best Budget Surface Clone (HP's Spectre x2) and Best Gaming Laptop (MSI's GT72S Dominator Pro G Dragon). Dell’s XPS 13 packs a big display into a tiny form factor and is arguably the best Ultrabook of the year. We’ve had a long time to think about this one, and Dell's XPS 13 gets the well-deserved pick for the best Ultrabook. Its aluminum exterior and carbon fiber top exude quality. The most innovative leap forward is its “InfinityEdge” display—that’s a fancy way of saying it has nearly no bezel. This lets Dell pack a 13-inch screen into the body of a laptop that’s not much bigger than a typical 11-inch laptop. The XPS 13 has consistently been one of the faster Ultrabooks we’ve seen, our benchmark against which all others have been judged. Most of our experience is based on the previous Intel Broadwell iteration, which Dell still sells, but it’s now being supplanted with Intel’s newer Skylake CPUs. If we had to complain about anything, it would the small keyboard. It’s far from being a deal-breaker, but we wish the keys were just a little bigger. We have the updated XPS 13 in-house for review. So far we can say it’s incrementally faster thanks to the Skylake CPU and its full PCIe SSD. Regardless of the generation, you can’t lose with the XPS 13, a truly compact Ultrabook with a screen that punches out of its class. HP’s Spectre x360 is beautiful and easily the best 2-in-1 laptop of the year. HP's Spectre x360 is our pick for the best 2-in-1 Ultrabook, and a close competitor to Dell's XPS 13. With a body milled out of solid aluminum, the Spectre x360 is beautiful and talented—you can flip the screen around for tablet mode or tent mode when needed. The Spectre x360's keyboard is luxurious next to the cramped Dell XPS 13 too, but the HP laptop is also wider as a result. Performance is top-notch, but we took issue with HP’s decision to control thermals by throttling CPU speed. HP has since updated its BIOS to keep the performance ticking along under heavier loads. The cost is slightly more fan noise, but you get the performance you’re paying for. You also get great audio, awesome battery life, and touch support on all models.We have high hopes for the Skylake model that's coming down the pike. Asus gives you a ton of value for the money and arguably the best budget ultrabook. Enter Asus’ UX305, the best budget Ultrabook in town. It packs in 8GB of RAM and a 256GB SSD for the low price of $700. You’d think Asus would skimp in build quality or sneak in a lousy screen, but it didn’t. The body is aluminum, and the display is a 1920x1080 IPS screen with anti-glare finish. It’s also one of the thinnest Ultrabooks today, at roughly 12mm thick and weighing just 2.6 pounds. The CPU isn’t a Core i5-class, but rather than step down to Atom, Asus stepped sideways, with Intel’s Core M in the original UX305 and the new Core m3 in the updated UX305. We’re actually in the middle of testing the updated Core m3 UX305. The early results say it’s comparable in every way except perhaps performance. There are some compromises. There’s no backlighting on the keyboard, which is pretty standard in any Ultrabook today. The trackpad, while not horrible, is a tad bit springy. Still, it's one hell of a deal in a price range that usually nets you thick, ugly and plastic. Microsoft’s Surface Book is expensive but fast and unique, and a radical re-thinking of a laptop. 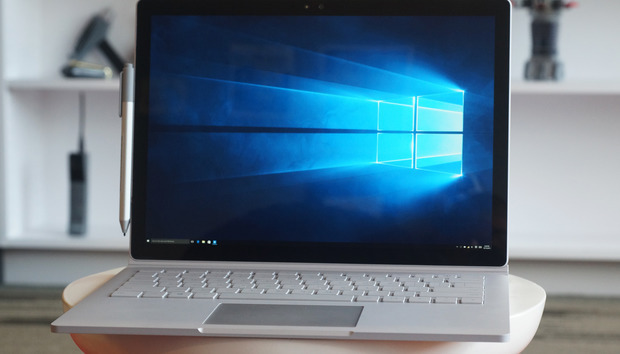 There’s no way to describe Microsoft's Surface Book as anything but a luxury item. The configuration you want—the one with the GPU under the keyboard—isn’t even available until you slam $1,900 onto Satya Nadella’s desk. But what you get is glorious. Start with the beautiful, high-resolution 13.5-inch screen, a discrete GeForce option, Skylake dual-core and exceptional battery life. That you can remove the screen to use as a tablet—err, clipboard—with the included pen is just a major bonus. Performance in general is near the top of the heap. On graphics loads, including video-accelerated encoding, it can’t be touched by anything in its class. Those who can afford it are going to get what they want: a beautiful laptop that’ll probably start conversations in the first-class cabin as you fly from Dubai to London. The Surface Pro 4 is an evolved Surface Pro 3 and better in everyway. We know, you think we’re biased with a category named “Best Surface,” but Microsoft’s Surface series is really an evolutionary step beyond the typical “convertible” devices that physically separate from the keyboard to run independently as tablets. Surface clones have arisen that are also light, yet still very capable: Lenovo has its new Miix 700, HP has its Spectre 12 X2. We expect the clone wars to keep heating up in the coming months. The best one today, however, is the Surface Pro 4. It has a top-rated display, great performance, and its keyboard and trackpad are miles ahead of competing designs (*cough* iPad Pro). We choose it over the Surface Pro 3 for its performance and better thermals (with less fan noise) compared to the older model. The only caveat: It’s expensive—and the essential keyboard adds $130 to the price. That means the mid-range Surface Pro 4 with 256GB of storage, 8GB of RAM and Core i5 is a $1,430 computer. Ouch. Still, for those who really valuable portability (it really is laptop performance in a tablet) and will actually use it as a tablet on occasion, you’d be hard pressed to beat the Surface Pro 4 today. The kickstand on the Spectre x2 folds back to 150 degrees and pops out with a switch. If you’re thinking that the Surface 3 is the Surface Pro 4's affordable alternative, think again. For $800, HP's Spectre x2 gives you 128GB of storage, 4GB of RAM, and Intel’s Core m3 series—the company’s latest Skylake CPU, tuned for low power. It’s also LTE-ready, so you can easily add it to your cellular plan for untethered working (that’s a $100 option for the Surface 3). Oh yeah, and you get the keyboard, too. That's a heck of a package, especially given that a comparable Surface 3 bundled with its optional type cover costs $830—and sports an Atom processor. About the only places that the Surface 3 shines are in battery life and portability: The Spectre x2 died a little more than an hour sooner in our battery rundown test, and it's well over a half-pound heavier. But the Spectre x2's larger display and solid performance put it far ahead of the Surface 3 for office and home tasks. Relative to the Surface Pro 4, there are compromises it makes in the display (which has a larger bezel, skews blue, and is slightly less bright), as well as with its kickstand design, but you still get tremendous bang for your buck. MSI’s GT72S Dominator Pro G Dragon features a G-Sync panel and GeForce GTX 980 card. We love our desktop gaming rigs, but there are times when a full-tilt boogie semi-portable laptop just makes more sense. Take the MSI GT72S Dominator Pro G Dragon, which packs a GeForce GTX 980—Nvidia’s top-dog GPU for laptops that offers 1:1 performance with its desktop counterpart. Yes, you read that right. 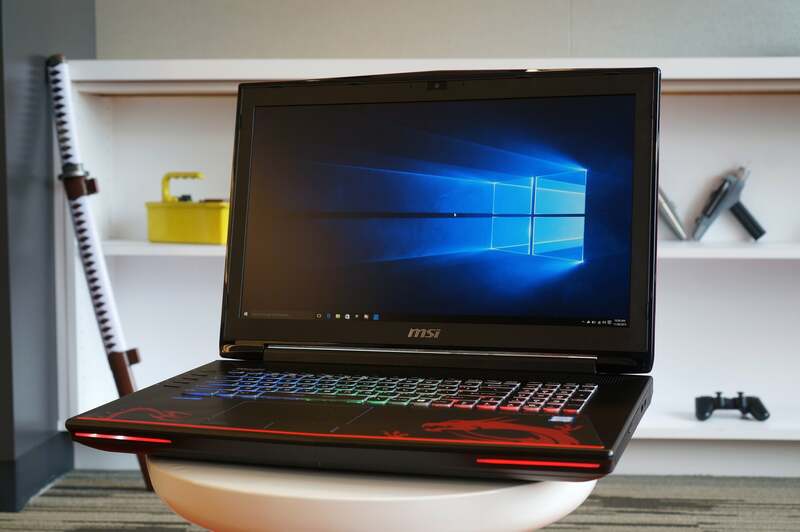 A laptop that performs every bit as fast as a top-of-the-line gaming desktop rig with a $550 GPU in it. In fact, our review unit even slightly outperformed the desktop we compared it against. But the MSI GT72S Dragon isn't just a one-trick pony. Across the board, it held its own against comparable desktop systems, and even edged out the desktops in certain tasks when we overclocked its Core i7-6820HK processor from 3.2GHz to 4.0GHz. The only drawback to this system isn't its weight, though with a 17.3-inch IPS panel it's certainly heavy. Our review model pushes $3,100, thanks to its quad-core Skylake CPU and G-Sync 75Hz display. MSI throws in a free backpack to lessen that price tag’s sting, and honestly, a comparable desktop setup isn’t astronomically cheaper—but it's still a good chunk of cash. You get what you pay for, though, and that’s true desktop performance in a laptop. Dell's Chromebook 13 is the first built expressly for business, with a wide range of configurations and prices from $399 to $899. The best Chromebook in someone's dreams is the Chromebook Pixel. For the rest of us, Dell's new Chromebook 13 is attainable and a noticeable cut above most other models. Whereas many lower-end Chromebooks feel like toys, the Chromebook 13 is made for grown-ups. Its build includes a tough carbon-fiber lid with a rubber gasket for even more durability. It houses a 13.3-inch, 1920x1080 IPS display—either anti-glare (as with the unit we're testing), or a Gorilla Glass touchscreen. Inside the magnesium-alloy body you'll find a Broadwell Celeron CPU. Our review unit's Celeron 3205U is looking peppy in our performance tests, and battery life seems close to Dell's promise of 12-13 hours. Dell's Chromebook 13 is no bargain at $429 as configured. We know most people like Chromebooks costing $300 or even far less. For a category that's hitting its stride, however, with growth in education and the enterprise, the Chromebook 13 is a laptop that looks and acts like it means business. The Asus Chromebook Flip has a 360-degree hinge and will take advantage of upgrades to Chrome OS specifically to improve the touch UI. We have low-end Chromebooks to thank for bringing web productivity to the masses—budget-minded individuals, and of course, cost-conscious schools. The cheapest model we've seen, the Hisense Chromebook at Wal-Mart, costs just $149. Go there if you want or need to, but our pick for the best low-end model is a little more expensive—and a lot more versatile. That would be the Asus Chromebook Flip, the first mainstream Chromebook convertible and a solid deal at $249. The Flip boasts an aluminum chassis and a superior-quality IPS touchscreen display. Granted, that display is a diminutive 10.1 inches compared to the 11-or-so inches you'll get with other units in this price range, but that's a tradeoff for the machine's 360-degree talents. A low-power Rockchip 3288 CPU helps keep the Chromebook Flip in bargain territory—and saves on battery life, which we clocked at over ten hours.